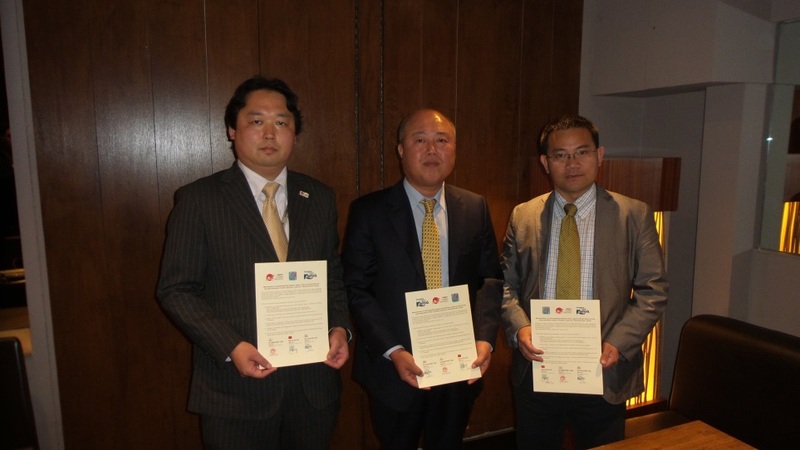 Following a meeting by their respective Tourism Ministers earlier this year, The London offices of the China National Tourist Office, The Japan National Tourism Organisation and the Korea Tourism Organisation have announced a partnership to co-promote their destinations under a campaign called Visit East Asia. In a joint statement issued at the signing of the Memorandum of Understanding outlining the aims of the agreement the London based Director of the China National Tourist Office, Mr Lin Kuang, the Director of The Japan National Tourism Organisation, Mr. Hironobu Nara and the Director of the Korea Tourism Organisation, Mr. Changho Cha, said “We are delighted to announce the launch of Visit East Asia. Under this campaign our countries will work together to jointly promote tourism both to the trade and consumer in the UK to our region and to raise awareness of the potential and benefits of combining visits to our countries. The logo is an Asian knot and symbolises the interlinking of our three countries for the purposes of our joint tourism marketing activity”.